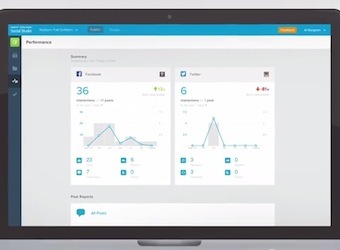 Salesforce.com has launched a new social content marketing, engagement, publishing and analytics platform. Called Radian6 Buddy Media Social Studio, it’s part of Salesforce’s ExactTarget Marketing Cloud, and the cost for brands starts at $1500 per month. Social Studio is intended to be a single platform for social content marketing, engagement, publishing and analytics, built for enterprise scale, with special care placed on ease of use, according to the company.